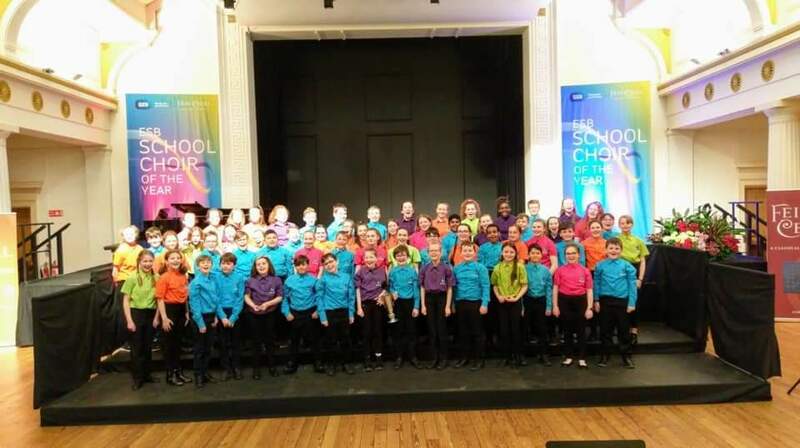 The WIT Music School's Boys' and Girls' Choir won first and second prize in the prestigious Feis Ceoil Choral Competition in Dublin earlier in April. The WIT Choral programme are no strangers to these choral competitions having enjoyed success in the past, including the WIT Youth Choir winning in 2018. Speaking about the competition, Julie Quinlan said, “Competing in two competitions on the same day required hours of rehearsal and commitment by these young choristers. Under the guidance of staff members Sinead Crowley, Niall Crowley, Geraldine Bennett and Oonagh Drohan the children to learned two test piece songs and two own choice songs and certainly rose to the challenge”. The morning started with the "Youth Choir - Two Part" competition at which the choir performed the test piece 'Oh, The Summer' by Mackay and their own choice 'I sing because I'm Happy' arranged by Padded/Dilworth. Singing last of nine choirs in a very tough competition, the choir took 1st place and the McCarry Cup by adjudicator Sarah Tenant Flowers. Performing the test piece 'The Owl' by Sykes and their own choice 'Vater Unser' by Arvo Part in the "Junior Choirs-Unison" competition in the afternoon, the WIT Boys' and Girls' were awarded 2nd place by adjudicator Sean Mac Liam. The WIT Boys' & Girls' choir were invited to perform that evening in the RDS Concert Hall. For more information, please see the WIT Music School webpages.